Royally perfect! 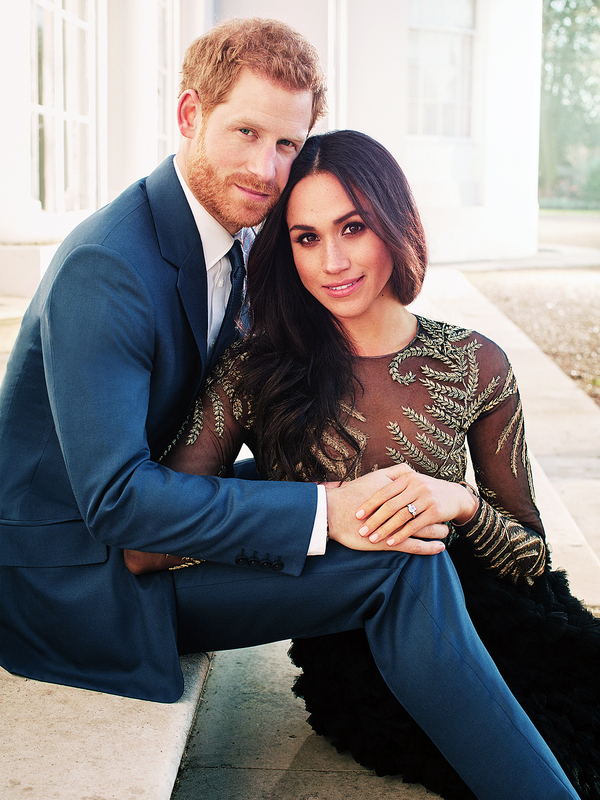 Prince Harry and Meghan Markle released their official engagement photos on Thursday, December 21 — and they are stunning. “Prince Harry and Ms. Meghan Markle have chosen to release official photographs to mark their engagement,” Kensington Palace announced in a statement. The two photos were taken by fashion photographer Alexi Lubomirski earlier this week at Frogmore House, Windsor. The release of the portraits come one day after the couple attended The Queen’s annual Christmas lunch along with Prince William, Duchess Kate and more. In the first pic, 33-year-old Harry and Markle, 36, pose while sitting on outdoor steps. Unlike royal tradition, they show affection as Markle leans into him and the pair hold hands. Harry wears a blue suit while the Suits alum stuns in a Ralph and Russo black gown with sheer detail. Markle also shows off her engagement ring in the second photo. The future spouses smile as they embrace in the black and white image. Markle, wearing a a sweater by Victoria Beckham, sweetly touches his cheek as he wraps her in his Burberry coat. Us Weekly exclusively revealed that the couple are engaged after more than a year of dating. They announced the news themselves late last month. They are set to tie the knot at St George’s Chapel, Windsor Castle on May 19, 2018.